Electric Eel Mfg. will reach a major milestone in serving the Rental Industry by exhibiting at their 60th annual ARA Rental Show in Anaheim. To celebrate this milestone and to thank their many loyal customers, a raffle will be held in their booth at the 2019 Rental Show in Anaheim in which a complete Model C sectional drain cleaning machine will be given away. 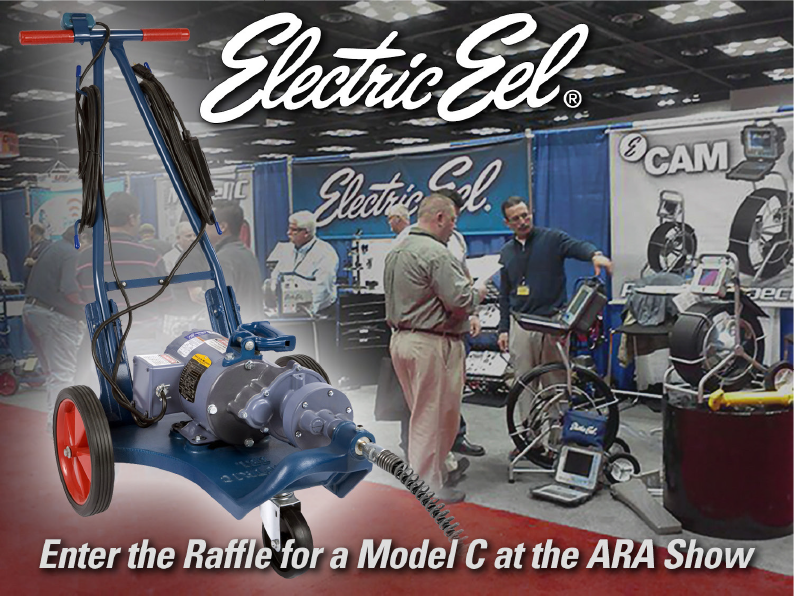 Established in Springfield, OH in 1939, Electric Eel has been supporting the rental industry from its early days, first with the original dual cable sectional main line machine to today’s innovative technology that includes a full line of drain and sewer cleaning machines including sectional units, drum machines, high pressure water jetters, and a full line of pipeline inspection and location products. Electric Eel has a nationwide network of representatives to support the rental owners at the local level as well as direct factory support.